Rain fall last week was18mm over 7 days which was welcome. 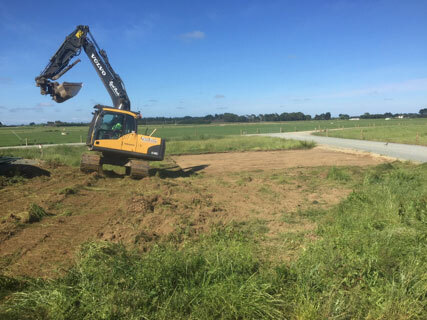 Pasture growth is steady at about demand and our new grass area is due back in the round which will alleviate feed concerns but more rainfall would be welcome before Christmas. Bulls are working and have learnt to remain behind in the paddock for the cows to return to after milking The farm team are using this standard approach to ensure there is a routine for the bulls. Pastures have started seeding again this week so post graze topping and /or some grazing with our R2 heifers is helping manage residuals which are lifting if we don’t intervene. The lower terrace is again looking N deficient – looking to confirm our approach on N applications within Ravensdown to support the investment in new pastures from last autumn. Refer to the stock section for more information and treatment plan. A big welcome to our newest employee Ashlee Kidd who is due to start with us mid-January, we look forward to having her on the team! Crime prevention! As previously reported, One of our 2-wheel Suzuki bikes was stolen at lunchtime, however luck was on our side, the bike was fitted with a GPS unit so with Police assistance it has been recovered. A good reminder at this time of year to be vigilant and for us to refresh our security policy! BCS done fortnightly identifies animals BCS 4 and under to add to the OAD list. These animals remain in their herds to maintain research comparisons and walk to the shed twice a day but are milked just in the morning. The feed table shows the level of extra feeding they are offered in shed to manage BCS. Whole farm “spring boost fertiliser” (as per Ravensdown recommended Agronomy Plan) will be applied weekly following the cows. The R1 heifers were weighed averaging 125kgLW. The range was 90 – 150kg. They have been split into two mobs. The lighter of the two mobs (<125kg) will be managed with preferential feeding. 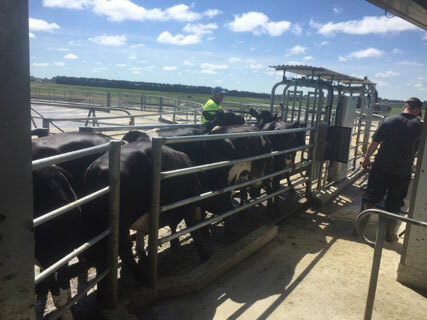 50% of the R2 heifers have been weighed as they were already on the milking platform, whilst the other half will be returning to the milking platform next to be weighed as there are no yards at the youngstock block. Season to date milk production for each of the winter herds is presented in the table below. There has been no difference between the treatments in milk solids production, season to date. Ashlee Kidd has accepted a position at The Hub as a junior assistant to start mid-January, welcome Ashlee!